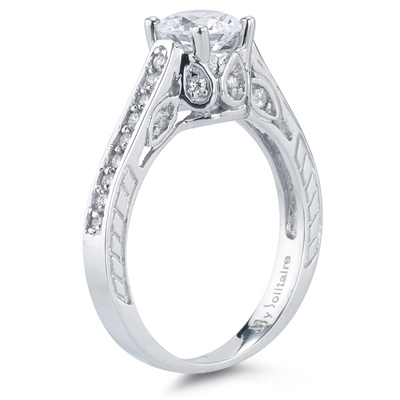 0.28 Cts Diamond Filigree Engagement Ring Setting in 18K White Gold . This splendid Diamond Filigree Engagement Ring Setting displays twenty-eight exquisitely studded Diamonds prong set in 18K White Gold. Approximate Diamond Weight: 0.28 Carats. 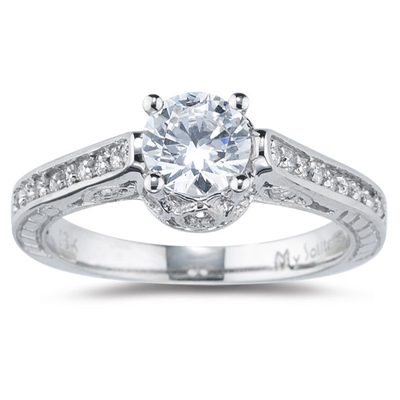 Design your own ring with a center stone of your choice. The center stone is sold separately.